The U.S. has pushed for Iraq to let Turkey play a role in the battle to retake Mosul from the Islamic State group, but met stiff resistance. 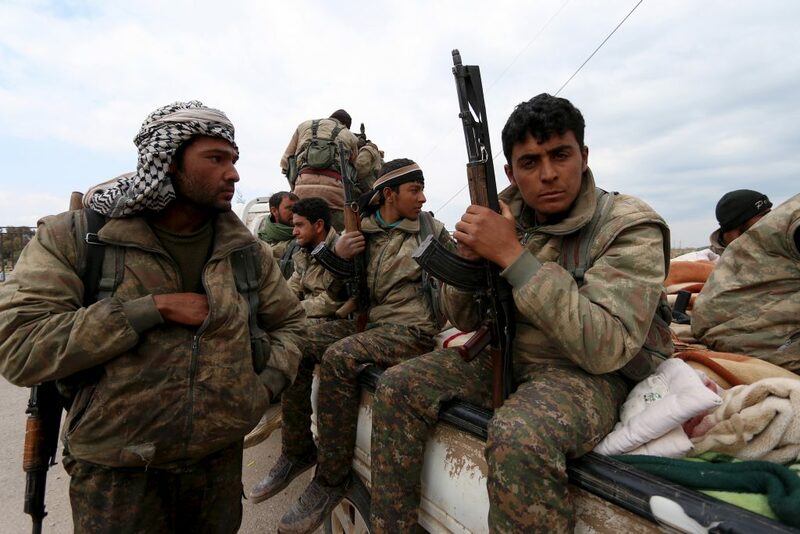 Under a blanket of airstrikes led by the United States, a coalition of mostly Kurdish fighters on Saturday advanced into a key town in northern Syria held by the Islamic State. Twin explosions carried out by suspected suicide bombers in Ankara, Turkey, killed dozens of people who had assembled in the capital city on Saturday to attend a peace rally. Iraq faced its deadliest day of violence in two years when coordinated bombings and shootings erupted in 15 cities across the country. Margaret Warner reports. In other news Tuesday, demonstrations calling for leaders' resignations continued in Bahrain and Yemen. In New Zealand, the hunt for survivors began after a magnitude 6.3 earthquake devastated Christchurch, the country's second-largest city, and killed at least 65 people. Preliminary results in Saturday's provincial elections in Iraq show Prime Minister Nouri al-Maliki's Dawa party garnering the most votes in nine provinces, but falling short of operating without a coalition. The Turkish military conducted a raid against Kurdish rebels in northern Iraq Tuesday, two days after Turkish airstrikes hit Kurdish targets. After a reporter examines U.S.-Turkish military cooperation, experts consider the background behind the cross-border tensions. While numerous plans were proposed over recent months to break the violence gripping Iraq's capital, the fact that most of the fighting is occurring in Arab regions has elevated Arab issues, making Kurds in the North feel increasingly marginalized.